Explore some of the Seychelles’ most beautiful islands on this fantastic cruise, taking you through the beautiful landscapes of Praslin, Grand Soeur, Curieuse, Saint Pierre Island and Mahe. 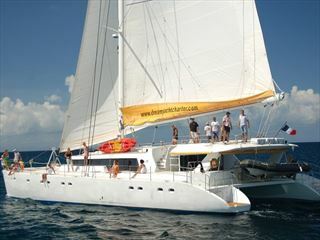 Revel in the sunshine and the striking sandy beaches of Praslin with a two night stay at Coco de Mer Hotel, before hopping on board the Mojito 82 luxury catamaran on Friday to start your adventure through topaz waters and the spectacular Seychelles islets. 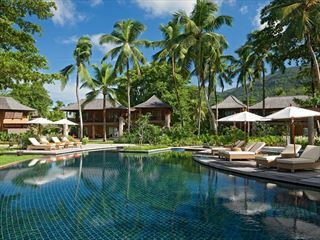 Over the next four days you’ll enjoy walking tours, snorkelling excursions, wildlife spotting and even beach BBQ’s at each unique archipelago, before embarking at Mahe for a fantastic two night stay at the lavish AVANI Seychelles Barbarons Resort & Spa. 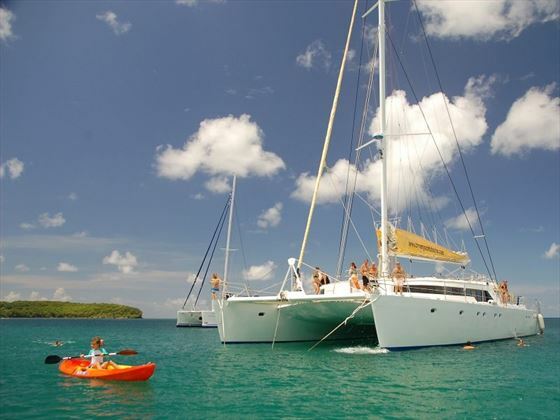 The Mojito 82 is a marvellous catamaran, featuring 12 double cabins, an excellent crew, and large sun decks for lounging around in the sunshine. 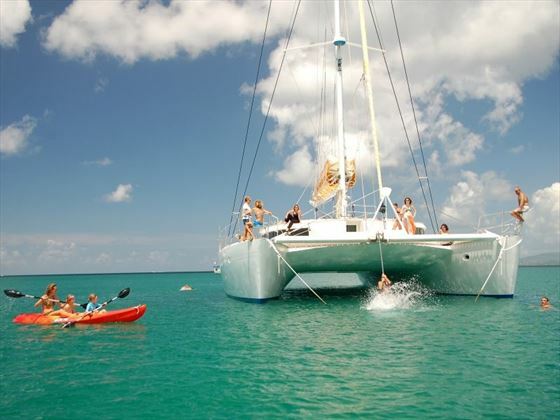 Don’t forget the adrenaline rush of water sports available, too, including snorkelling and sea kayaking through the crystal clear waters. 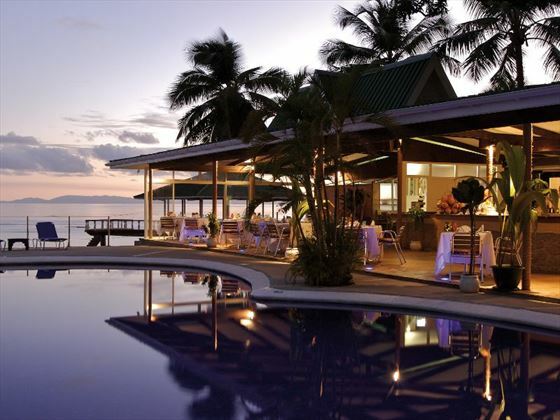 Upon arrival in Praslin you will travel to Coco de Mer Hotel – your home for two nights. Surrounded by breath-taking landscapes, including pristine beaches and luscious forests, this hotel is named after the Coco de Mer Palm trees, which are very rare, yet come in abundance near the property. Here you’ll be able to enjoy either a peaceful ambience next to the palm tree shaped pool, or join in the fun at the vibrant bars. 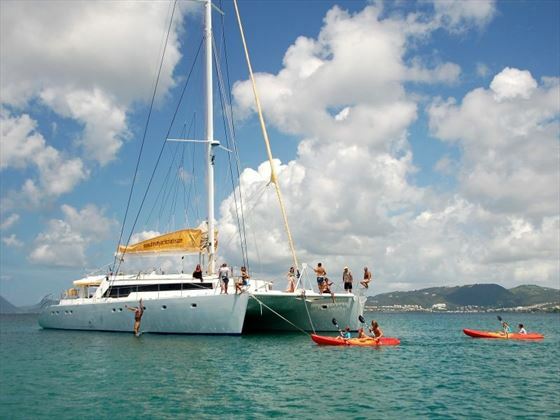 On Friday you will board the Mojito 82 at 9am, from St. Anne Bay in Praslin. 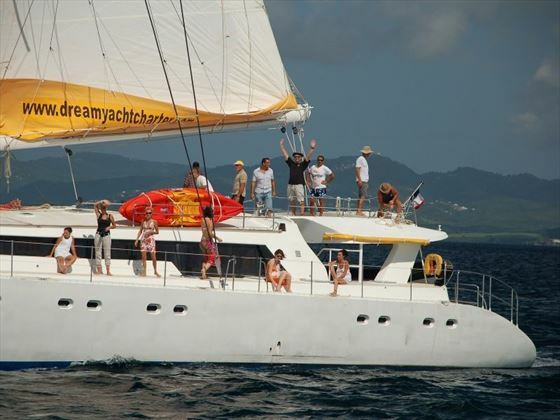 Start your journey by sailing to Grand Soeur, home to one of the Seychelles’ most beautiful beaches, as well as great snorkelling areas surrounded by pink granite rocks. Here you’ll enjoy a beach BBQ, before embarking on a scenic 40 minute walking tour of the island, looking out for coconut trees and sea turtles. Anchorage will either be at Curieuse or Anse Peitie Cour tonight. Discover Curieuse, part of the Marine National Park and host to more than 100 magnificent tortoises. After a tasty lunch on the island you’ll travel to the Saint Pierre Island – you may have seen it before, a mass of rugged, rounded rocks crowned with soaring palms that is regularly photographed and appears in countless magazines. This area is perfect for a spot of snorkelling in the clear waters, looking out for the beautiful marine life. 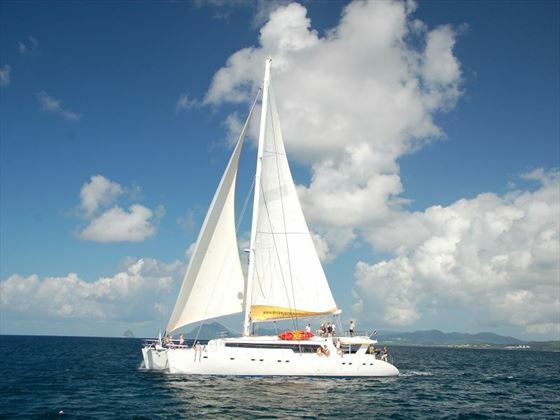 Afterwards, you’ll anchor in Anse Volbert or Anse Lazio in Praslin. Day six will be free to snorkel, swim, or enjoy other fantastic water sports in the crystal blue waters surrounding the stunning beaches of Praslin. In the afternoon you’ll travel to Mahe for anchorage. In the early morning you’ll disembark in Mahe, before travelling to AVANI Seychelles Barbarons Resort & Spa where you’ll be staying for the next two nights. The AVANI Seychelles Barbarons Resort & Spa offers a fabulous insight into the island life, with refreshing, contemporary décor surrounded by dense forest, stretches of white sand, and the sparkling sea. 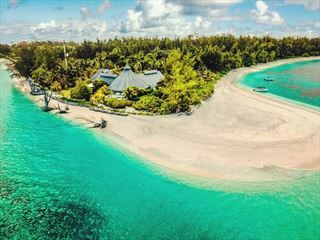 You could spend your two nights here soaking up the sunshine and treating yourself to relaxing spa treatments, or add a fun flair with surfing, snorkelling, yoga, or even cooking classes. 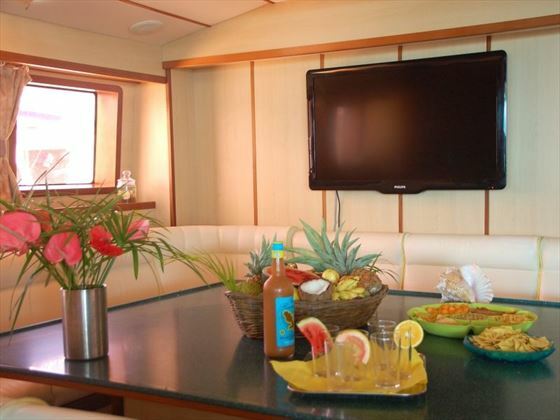 The Mojito 82 offers comfortable accommodation is 12 double cabins, featuring private bathrooms and spectacular views of the sea. 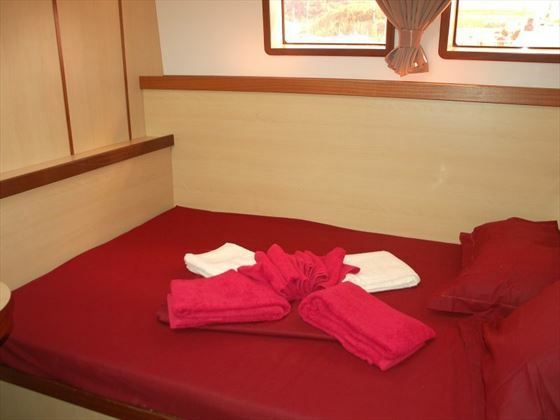 The yacht sleeps a maximum of 24 guests. 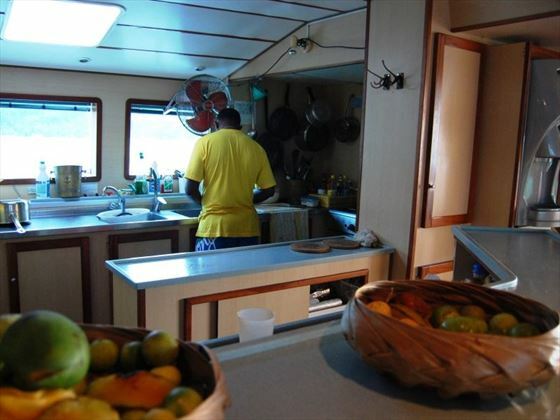 The crew for the catamaran consist of a captain, a steward/cook, and a decks hand. 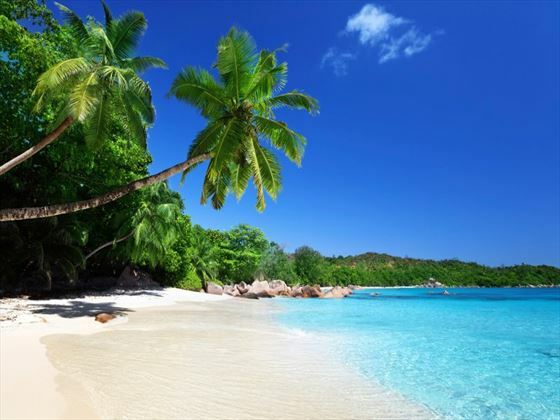 Discover some of the Seychelles' most beautiful inner islands on this fantastic cruise. 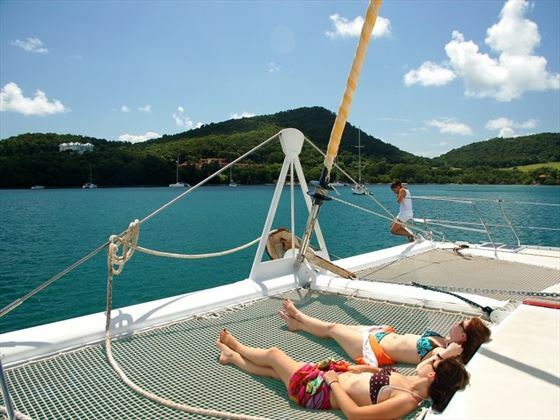 Starting with two nights in Mahe, you'll then embark on the Mojito 82 for a seven night full board cruise around the islands, before heading back to Mahe for another two nights.